The spiked chain harrow is used for weeding by pulling out or burying weeds with its prongs that scratch the soil. The harrow brings the previously cut weeds up to the surface. The fine spiked chain harrow kit includes the harrow support and the seven springs that connect to the support and are inserted into the single-wheel hoe and the two-wheeled hoe. It can also be inserted in with the Terrateck second tool support. The fine spiked chain harrow prongs are more flexible and less aggressive than those of the heavy spiked chain harrow. It can therefore be used to hoe directly on rows without damaging your plants. 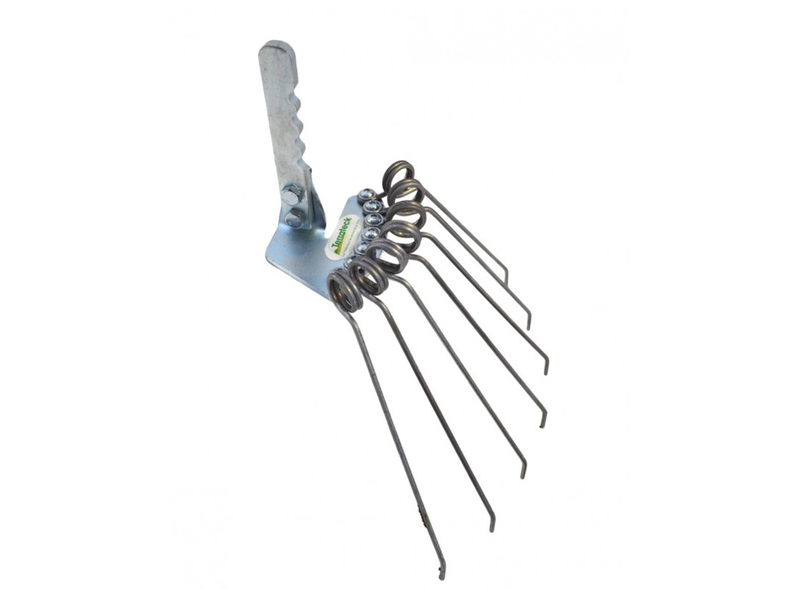 The fine spiked chain harrow is ideally designed to hoe light, sandy soils.